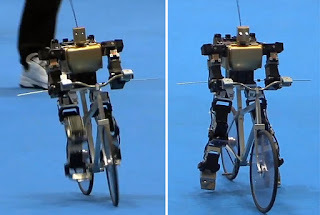 Developed by japanese roboticist masahiko yamaguchi ('dr. guero'), 'primer v2' is a robotic bicyclist who may be the world's first to ride its miniature fixed gear bike in exactly the same manner as a human: Cycling on the pedals, maintaining its own balance via steering, and braking by dragging his feet along the ground. 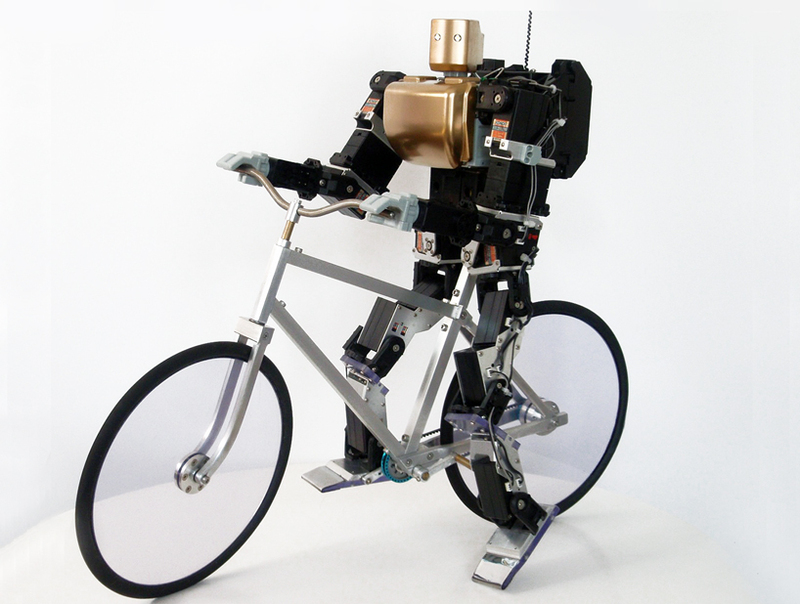 In these attributes, 'primer v2' advances beyond the 'murata boy' robot (covered in this designboom article), who could ride a bicycle but was affixed to the pedals and handlebars. 'Primer v2' was demoed at the 2011 iRex international robot exhibition in tokyo.